What is Turkey’s national debt? The sum total of Turkey’s national debt is a figure that includes all of the debt instruments issued by the government of Turkey. At the end of 2017, the total national debt of Turkey amounted to a debt to GDP ratio of almost 30%. This is a very low figure. When assets of the Central Bank of Turkey and other publicly held funds are deducted, the net national debt of Turkey works out at around 8% of GDP. This is a very healthy figure, which should show that the country has a strong economy. However, the currency of Turkey keeps falling and there has been a developing financial crisis in the country. Why is Turkey in trouble? Who is in charge of Turkey’s national debt? All of the national debt of Turkey is guaranteed by the country’s government. The bonds that the government issues all bear the name “Republic of Turkey.” This means that there is not one specific institution that is legally obliged to repay those bonds, but all of the combined branches and agencies of the government are mutually responsible for the debt. The government’s Ministry of Treasury and Finance is tasked with managing the country’s economy and a division of the Ministry, called the General Directorate of Public Finance has the responsibility of raising funds for the government. That remit includes the issuing of bonds and the management of the national debt. The world’s trader community is worried about the quality of Turkish bonds as a safe place to store money. The key problem that the country faces is the sliding value of its currency and the government’s low foreign currency reserves. Not all of Turkey’s national debt is valued in the country’s currency, the Turkish Lira (TRY). So, those who want to buy Turkish government bonds could avoid the problem of the falling Lira by buying those bonds that are denominated in other currencies. This range of currency options is great for traders, but a problem for the government when the currency slides. This is because the interest has to be paid back in the currencies that the bonds were written in. As almost half of the country’s debt is written in other currencies, the cost of interest will remove a larger portion of the government’s budget, reducing the money available for social support and public investment. Why is Turkey in trouble? The cycle of economic destruction in Turkey has already reached point 4 in the above scenario. If foreign banks that lent to businesses in Turkey panic and pull their loans, they will have difficulty getting their money back. 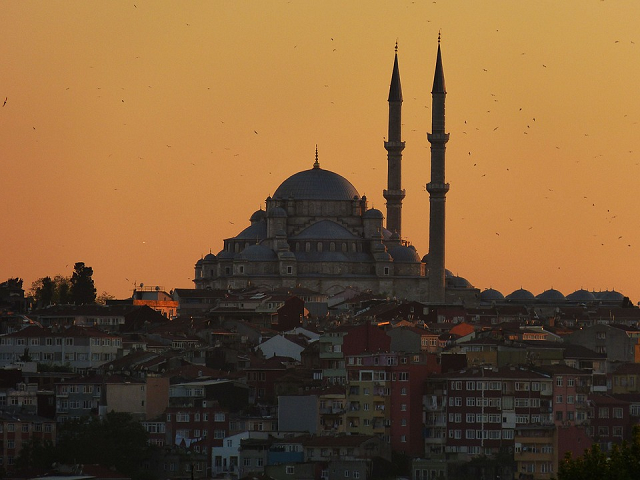 Many Turkish banks also owe money to overseas lenders. The total external debt of Turkey (loans owed in foreign currencies) was $466.7 billion at the end of Q1 2018. The nation’s total foreign currency reserves amount to $114.5 billion. Of this figure, only $87.9 billion is actually held in cash. Despite the country’s very low rate of national debt as a percentage of its GDP, Turkey does have a serious problem. The government is able to print money in order to meet its costs because the country has its own currency and the Central Bank of Turkey, which is owned by the government, is responsible for the money supply. In fact, the government has already been deploying this strategy, which is the principal reason for its high inflation rate of 14.6 percent. Another reason for high prices in Turkey is the fall of the Turkish Lira, which lost 27% of its value against the US dollar in the first half of 2018 and slid a further 13% in the subsequent two months. Around $179 billion of Turkey's external debt matures in the last half of 2018 and the first half of 2019. Banks and other private sector businesses must repay $146 billion of that sum that is now becoming due. 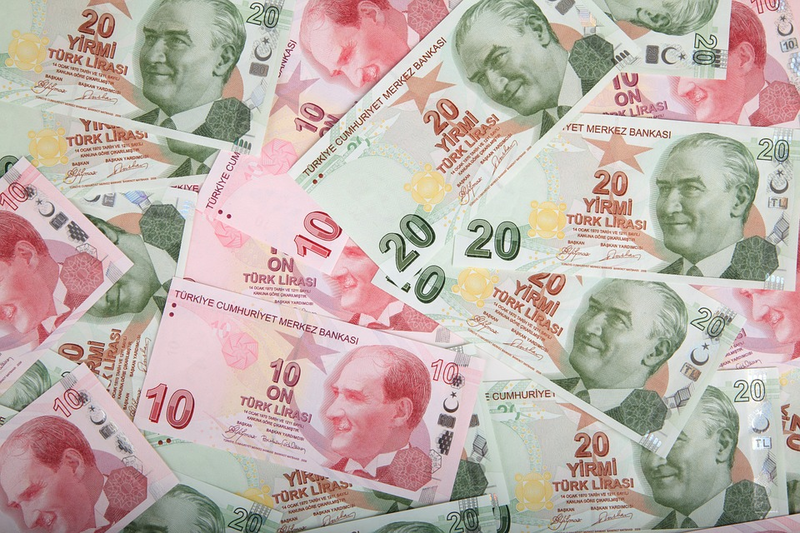 If foreign lenders refuse to extend or renew their loans to Turkish banks and businesses, the government and the country’s banks will need to find that amount in the right foreign currencies. If the holders of the currencies that Turkey needs are unwilling to exchange their hard currency for printed Lira, the country will be unable to meet its obligations and thus fall bankrupt. What facts should you know about Turkey's national debt? You could wrap $1 bills around the Earth 980 times with the debt amount. If you lay $1 bills on top of each other they would make a pile 27,483 km, or 17,077 miles high. That's equivalent to 0.07 trips to the Moon.